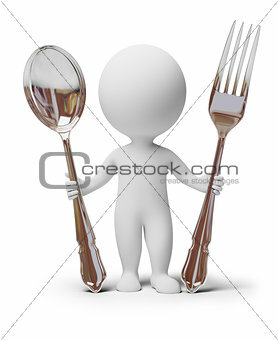 Image Description: 3d small people with a spoon and a fork. 3d image. Isolated white background. XXXL 35.1 x 42.9 cm 13.8 x 16.9"